Microgaming has been providing award-winning online gambling software to online casinos from the time the first online casinos came into existence. In fact, Microgaming credited with introducing the first online casino in 1994. 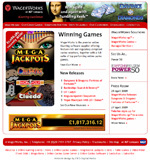 Today, Microgaming offers software to more than 160 online gaming websites. Its software solutions encompass the entire online gambling field: it provides software for online casinos, online poker rooms, online bingo halls, live casinos, and also supports progressive jackpots and network gaming. It is currently available in 24 different languages worldwide in land-based, online, and mobile casinos. Microgaming is one of the founding members of eCOGRA and the Interactive Gaming Council (IGC). RealTime Gaming (RTG) was established in 1998 in Atlanta, Georgia. By around 2007, the company had moved all development activities to Costa Rica, and today is based in both these locations. The company is primarily a software provider that provides online casino software to online casino operators across various jurisdictions. Therefore, one can see RTG-powered casinos licensed in various jurisdictions, depending on where the casino operator applied for the license. RTG is one of the few online gaming software providers that accept real money wagers from players in the USA, which is one of the reasons for the popularity of RTG casinos in the USA. Ever since it was launched in 1999, Playtech has been providing online casinos and their customers with some of the best software – great features, amazing range of games, and complete security. Over the years, Playtech has been constantly endeavoring to upgrade its products and software to provide the best of the world to its customers, and it is this constant endeavor that has seen it come out with software that has so many exciting features. Playtech got listed on the London Stock Exchange in 2006 and today, it is the largest publicly traded online gaming software development company. Rival Gaming is a popular online gaming software provider that was developed by Black Chip Ltd., a company based in Cyprus. It first made its presence felt in 2006 and over the years, it has made its presence felt in the industry with its cutting edge casino software platform, Casino Controller, which it has successfully licensed to more than 40 different online and land-based casino operators globally. Its rapid climb to the top of the casino software providers’ pile speaks volumes of its popularity in the online gambling industry. TopGame is the latest entrant to the galaxy of online casino industry with its unique and excluding software approaches. Its main USP is its fastest software which, as it claims, is downloaded at four times faster speed than any other competing casino software. Basically, TopGame uses its own proprietary compression algorithm that coverts large software package into a tiny exe file which can be downloaded and install in just few seconds. Net Entertainment is an online gambling industry’s pioneer as far as software’s wholesomeness is concerned. Today, online casino games have lost their charm coz of their isolated gameplay and a kind of boring step by step regular processes that a player is required to do when he plays an online game. Net Entertainment has redefined the classic casino fun by deploying state of the art gaming technologies so that any player can manage his entire gaming operations with ease. Notably, Net Entertainment is in the industry since 1996 and it is still one of the reputed casino software development companies with all the best features anyone is looking into his software developer. Today, online gambling industry is one of the biggest in world, and CryptoLogic is one of its few legendry contributors who made this industry so mouthed and gigantic. Now CryptoLogic’s name is a synonym of quality in online casino industry, perhaps, many of its games are unique and exclusive in their approaches. Ever since CryptoLogic has started its operations back in 1996, it never looked back and continued providing excellent gaming solutions to feed the rising demands of casino players. WagerWorks is known to be the most proudest and honest online casino software developer who priorities nothing but players safety and security. WagerWorks basically is a subsidiary of US slots machines manufacturer: Silicon gaming, which is again a part IGT gaming network. Being associated with such a large and respected casino participant, WagerWorks never makes its online honesty to vulnerability, perhaps it is known for its toughest multi licensing standards where any of its empanelled online casinos has to follow strict rules and guidelines. Find full list of online casinos which are powered by Vegas Technology.